A Parisian by birth, Helena is quite the child prodigy. A Baccalaureate in Economics and Social Sciences, a degree from Parsons School Of Design, and several nominations for prestigious awards while studying in New York; the young designer is one of the 5 Gen Next designers (out of 600 applicants) to be chosen to showcase their work at LFW Summer Resort ‘18. Her last collection and senior thesis at Parsons, titled ‘Khadi’, “explored artisan work across India… The fabrics used in the collection encompass a variety of Khadis (Raw Silk, Organza, Cotton Canvas, etc.) sourced in India and were hand painted”. Helena chose the ‘fabric of social change’ (played a crucial role in the Indian Independence movement, led by Mahatma Gandhi) as it “was an integral part of my family’s value system… My grandparents were dear friends of Gandhi-ji”. We can’t wait to see what she has in store for us. 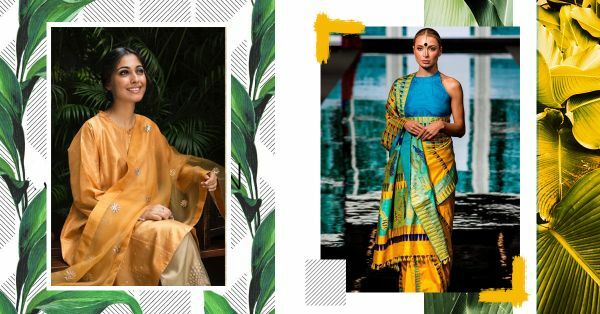 With over 2 decades of designing experience with the country’s leading boutiques and celebrities, Lajjoo Kapur launched the Indian wear label in 1999. Her pret creations are a modern reflection on classic silhouettes using handwoven fabrics in rich, lush colours… comfort to the T. She uses festive elements like bandhini, metallic badla and embroidery on her kurtas and pairs them with pants or crushed shararas. Expanding slowly but steadily into bridal ensembles as well, the label now offers sarees and lehengas in rich, lush colours. What we gathered from a peek at her collection for LFW, ‘Ode To Mumbai’ - cropped shirts with intricate lehengas, olive greens and yellows and sarees worn street style. “Curvy women are extremely confident in their skin, but there are market inflicted rules on their fashion style, which restricts them from being their own. Half Full works with the rule, it is not about the size you wear, style is about how you wear your size.” The woman also behind the fun, youth-centric label Quirk Box, Rixi Bhatia’s label Half Full Curve is a step in the right direction for body positivity and self love. The designer’s conceptual and aesthetic ideology follows the ‘art meets fashion’ school of thought; is inspired by texture, fabric and art which come together via new and innovative ways. “Art is Genderless, love is too.” A Conde Nast (London) Graduate and former set designer for NH7, Ayushman Mitra founded BOBO in June 2016. Based in Kolkata, the designs made with pure silk and muslin carry prints from Mitra’s own paintings. One of the prints from his latest collection, for instance, was “Painted four years back… this particular split-face has now become part of the fabric, a surface for embroidery and finally, has made its way onto finished products.The collection I present at Lakmé this season is an amalgamation of my experiences with various mediums through the years.” One of the 5 Gen Next Designers chosen to showcase their work, BOBO Calcutta designs draw inspiration from the concept of universal love and equality. “As an gender brand, the aim is to create a third identity which stands for neither of the binaries and yet for both. We understand and accept that anatomy differs between the genders but we believe in uniting and celebrating these differences. 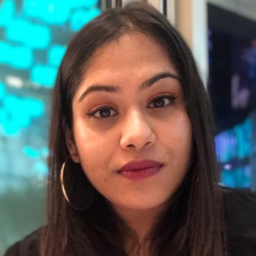 Stereotyping is what we want to annihilate” Started by Anvita Sharma, and Asit Barik, the label is going to be present at LFW Summer Resort as a Gen Next pick. Their last collection, all about monochrome and genderless, deconstructed details, was a symbolic statement - beauty is in the eye of the beholder. While, their latest installation for the Queer Aesthetics event was to aim at embracing and celebrating gender differences, instead of otherwise.